We are all Super Hero fans here at BTSM. My first exposure to superhero’s was through the Batman TV Series with Adam West. The TV series originally ran in 1966 and managed 3 seasons and 120 episodes. Recently it has been announced that Warner Bros will be releasing the box set sometime this year we think its time. 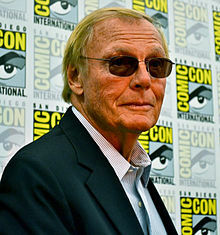 Please DC, Warner Bros – Bring back Adam West. One more time. We want one more Adam West Batman film. A finale for all of us who grew up on the series. With the recent DCAU movies it wouldn’t be hard to recreate the 60s in animated format. So please join us in spreading the word.